Calling all Disney Art Fans! And all fans of sending letters the old fashioned way! This awesome set of Notecards from the Disney Renaissance Era is the perfect grouping for collectors as well as folks who like to drop a little picture of happiness in the mail for their friends and family! I want to just savor them and put them in frames all around my house! What will you do with yours? 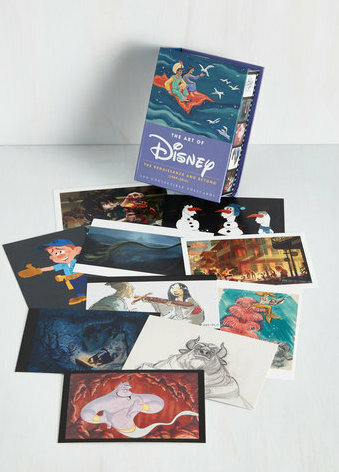 Check out the Art of Disney Notecards Collection from the Golden Age, too!